Human remains found buried in downtown Tempe, Arizona, are revealing a touching story about one young woman’s painful life and the community that cared for her more than 800 years ago. The remains consist of a complete skeleton of a 20 year old woman — one of 172 buried or cremated remains that archaeologists have uncovered while studying a swath of Tempe’s city center to make way for a light rail system. 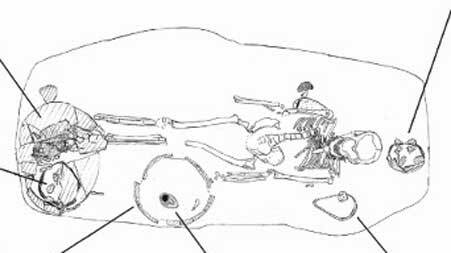 But the young woman’s grave, referred to as Burial 167, quickly caught the researchers’ attention. For one thing, her skeleton was severely disfigured, likely from a combination of both congenital and contracted diseases. And for another, her grave was one of the most richly appointed of all the burials that were studied. For Eric Cox, the archaeologist who led the excavation, these revelations raised a number of questions. How, he wondered, did a woman with disabilities so severe that she was likely unable to walk manage to survive into her 20s? And why, after her death, was she given an ornate burial treatment typically reserved for elders and elites? “There’s more that we can say about these people besides, they lived, they died, and this is where they were put,” he said in an interview. Burial 167 was uncovered in 2006 by Cox and his colleagues at the firm of URS, while they were studying the area that was to become the site of the Tempe Transportation Center. 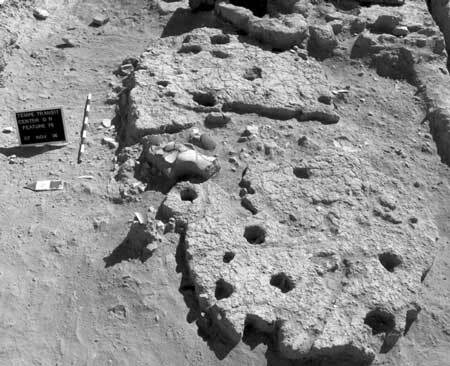 Their excavations revealed the traces of a “very large village site” that was inhabited by the Hohokam from the 700s to the 1400s, Cox said. “It was at the headgates of a main canal, and at the time it would’ve been a very large and very important site,” Cox said of the village. Much of La Plaza was lost to history as the city of Tempe and Arizona State University began to grow. 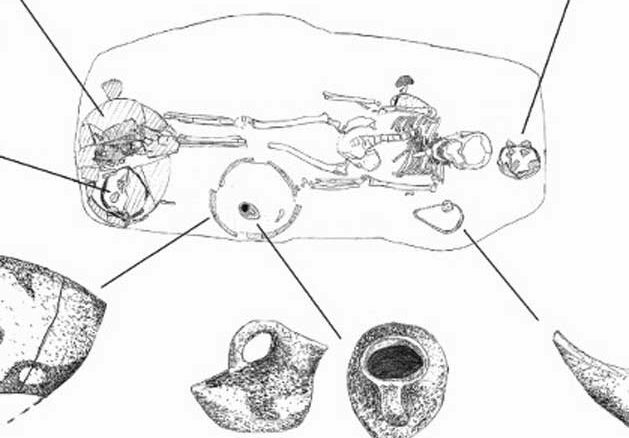 But a new way of understanding the ancient village presented itself when Cox uncovered Burial 167. “I was actually digging that one, and it was toward the end of the day when we started to uncover it,” he said. “I got her skull uncovered, and I got to her left side, and … what stuck out to me was that her entire left side was gracile — it hadn’t developed as much as the right side had. What’s more, much of the skeleton below the cranium was discolored. “Her skull was like every other skull that we had recovered, but her postcranial skeleton was all stained brown,” Cox said. Finally, a closer inspection revealed even more unusual clues: cavities in her vertebrae and leg bones, caused by a systemic infection. Together, these signs suggest that the woman in Burial 167 suffered from a series of crippling conditions, each of which likely exacerbated the others. The lack of symmetry in the woman’s skeleton, Cox explained, was the result of an acute case of scoliosis, or curvature of the spine. Indeed, the condition was so severe that at the base of her skull, her spine curved at an angle of nearly 55 degrees. The discoloration of her skeleton, meanwhile, and the curvature found in her arms and legs were telltale signs of rickets, a bone disease caused by a deficiency of Vitamin D, most commonly associated with a lack of exposure to sunlight. Finally, the lesions found along her spine and limbs are the hallmarks of severe tuberculosis, an infection of the lungs that, in the most severe cases, spreads to bone tissue. Each of these pathologies likely cascaded into another, Cox said. “She probably had the scoliosis deformity that led to her not being able to walk,” he said. Immobilized by the scoliosis, the woman likely became bed-ridden, where the lack of sunlight led to the onset of rickets. “You wouldn’t think rickets would be a problem here in the Southwest where there’s plenty of sun,” Cox said. These illnesses, then, likely made the woman susceptible to infections like tuberculosis, Cox added. But another factor might have contributed to her condition, too. Judging by the condition of her teeth, he said, the woman in Burial 167 ate a completely different diet from the rest of those in her village. A staple of the typical Hohokam diet, of course, was maize, a gritty starch that was ground on stone metates. Grit from the stone grinders was often ingested with the corn, which caused heavy wear on teeth, a trait found on human remains throughout the pre-contact Southwest. But the teeth from Burial 167 showed no wear at all. “Her molars and her other teeth were perfect, basically,” he said. Perhaps the woman’s diet led to malnutrition that contributed to her many illnesses, Cox speculated. But perhaps her diet wasn’t a sign of neglect, he added, but a sign of veneration. The young woman was clearly not like other citizens of La Plaza, Cox explained, so it’s possible that she was treated not as a liability but as an elite — perhaps one with special spiritual significance. “There are ethnographic accounts of people with deformities [being treated] in a ritual context like shamans, where they ate different foods than the other people did,” he said. So very interesting! The compassion shown to the disabled girl is fascinating, civilized even. 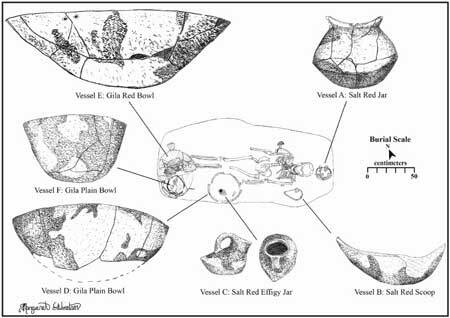 I’d like to read more on your finds and digs.